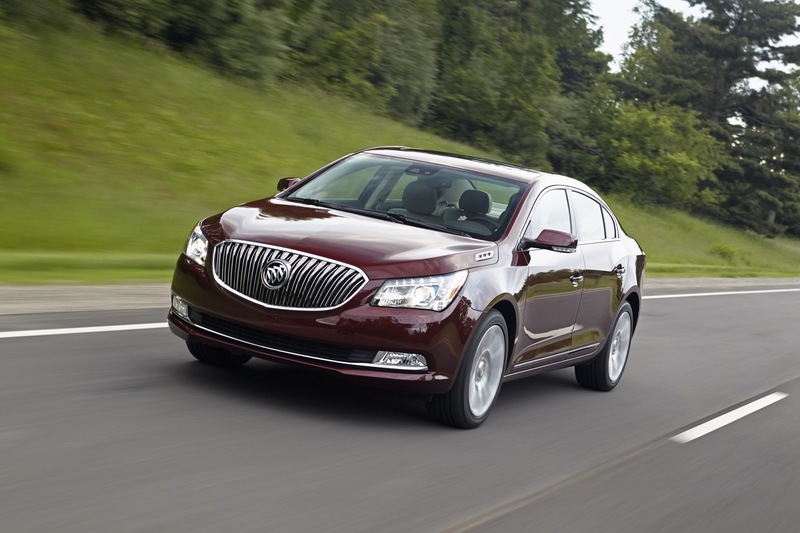 The 2016 Buick LaCrosse receives several small updates and changes for the last model year of the second-generation LaCrosse, as the 2017 Buick LaCrosse introduces the all-new, third-generation model of the nameplate. Rounding out the color changes is the renaming of the Champagne Silver Metallic color to Sparking Silver Metallic. Additionally, the FWD 1SV Equipment Group, which was slipstreamed into the 2015 LaCrosse, is officially added to the new features list of the 2016 LaCrosse. Moreover, the 3.6L V6 LFX engine becomes standard on the 1SB and 1SL models, with the 2.4L eAssist I4 LUK as the optional powerplant. 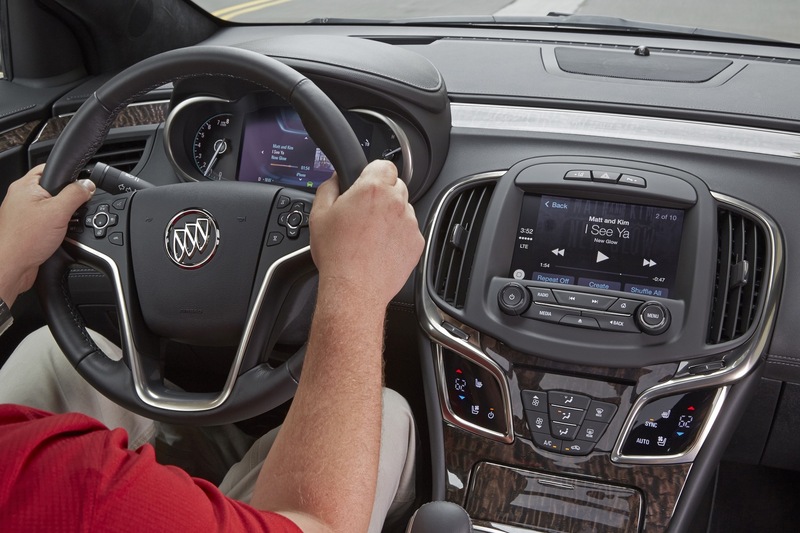 Inside, the 2016 Buick LaCrosse adds GM’s next-gen infotainment systems with a new screen appearance and begins to offer two sets of 20-inch wheels: the first is a silver-painted aluminum wheel available on the AWD Premium I 1SP trim level, while the second is an aluminum wheel available as an LPO on the Premium II 1SR trim. 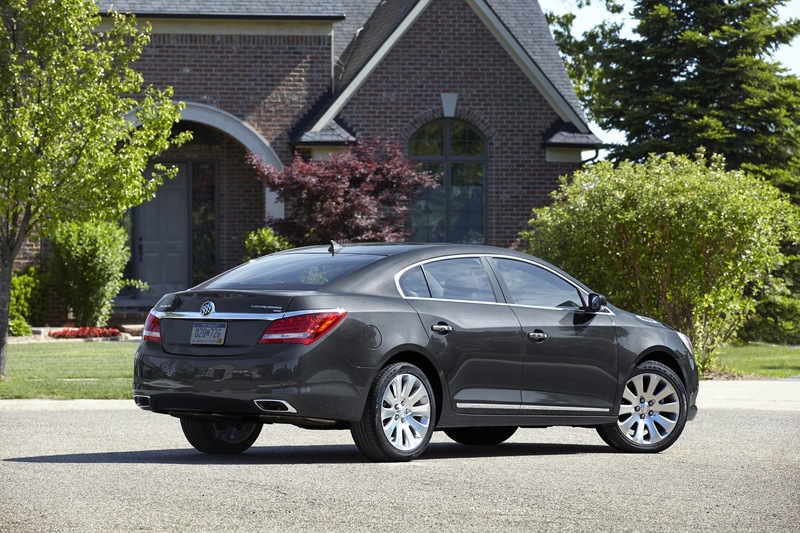 Known for its effortless style and luxurious features, Buick LaCrosse is just as adept at providing premium levels of performance and safety. 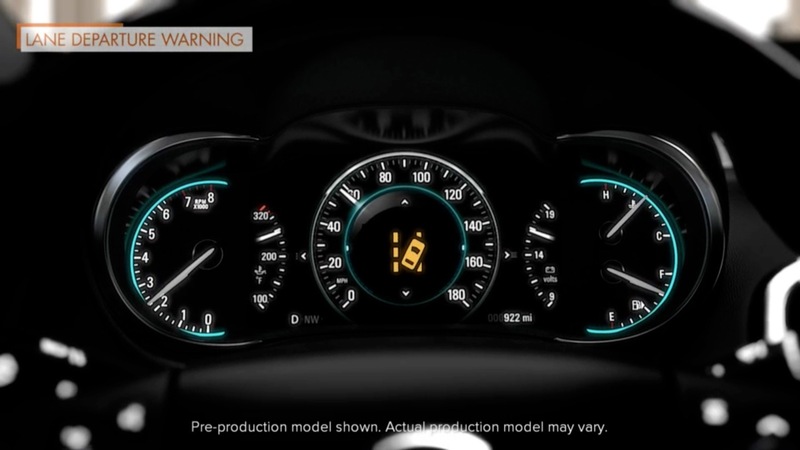 The midsize sedan, which was awarded a 5-Star Overall Vehicle Safety Rating from the National Highway Traffic Safety Administration in 2015, offers protection with several available active safety features such as Forward Collision Alert, Lane Departure Warning and Side Blind Zone Alert. 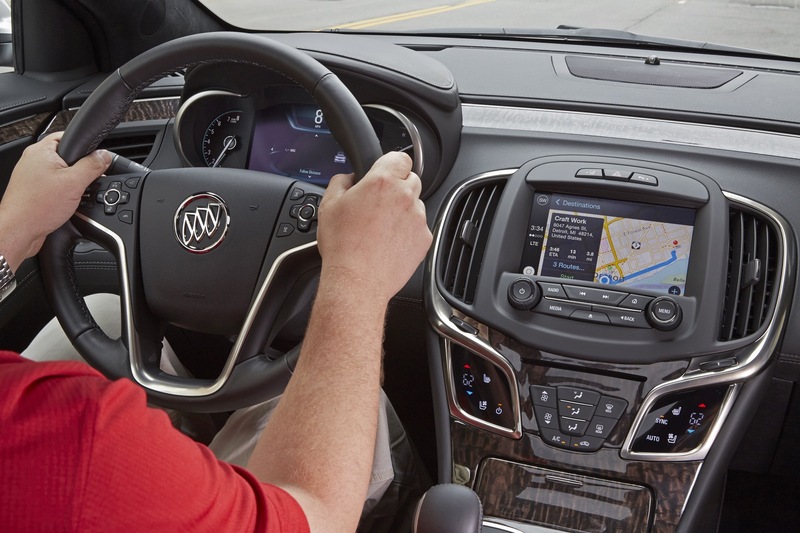 Those safety features, along with the latest in connectivity and Buick’s signature quietness, help LaCrosse stay on course as a top competitor in its segment. For 2016, LaCrosse is offered in five trim levels: LaCrosse 1SV (1SV), LaCrosse (1SB), Leather (1SL), Premium I (1SP) and Premium II (1SR). They included front-wheel-drive and all-wheel-drive configurations (limited trims), available with two powertrains: a standard 3.6L direct-injected V-6 (FWD and AWD) and a 2.4L engine with eAssist light electrification technology (FWD only). The 2.4L with eAssist is available on 1SB and 1SL. Each engine is paired with a six-speed automatic transmission. Other new updates for 2016 include 20-inch wheels available on AWD premium models and three new premium paint colors: Dark Sapphire Blue Metallic, Graphite Gray Metallic and Ebony Twilight Metallic. 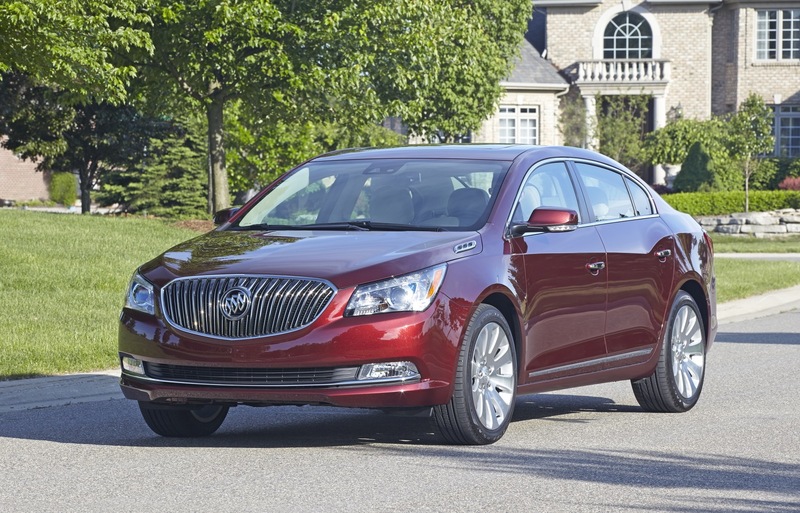 Buick’s QuietTuning engineering process is standard on all models. It reduces, blocks and absorbs unwanted noise, making LaCrosse one of the quietest cars in the segment. 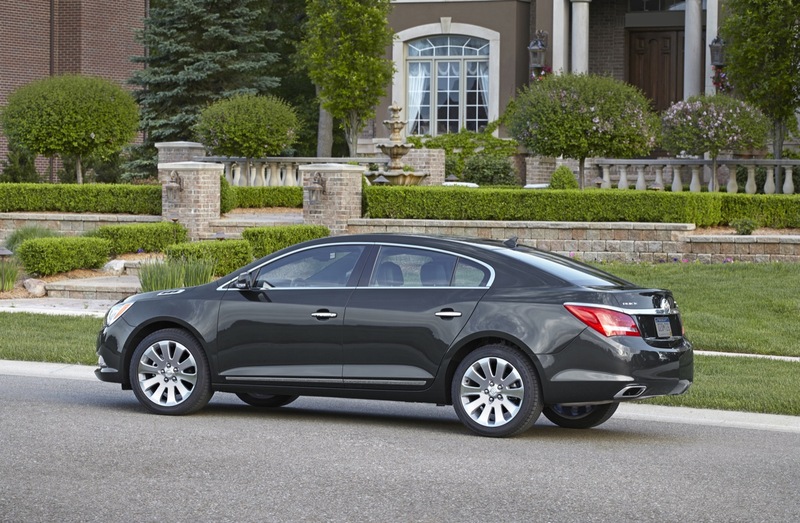 Crisp lines and bold design elements make the LaCrosse instantly recognizable as a modern Buick. Light-emitting diode (LED) lighting elements enhance a technologically advanced presence. The headlamp housings, for example, have a more angular appearance and LED signature accents. They are also positioned slightly outboard to reinforce the car’s presence. Bi-Xenon high-intensity discharge (HID) headlamps are available on Leather and Premium I and II models. Their enhanced brilliance improves visibility, while they are also energy-efficient and environmentally friendly (mercury-free). The HID headlamps are articulating, turning with the direction of the front wheels to enhance visibility around corners. A full-width chrome accent reinforces the car’s stance in back, while fully integrated exhaust outlets (3.6L models) are framed with a chrome finish within the rear fascia. 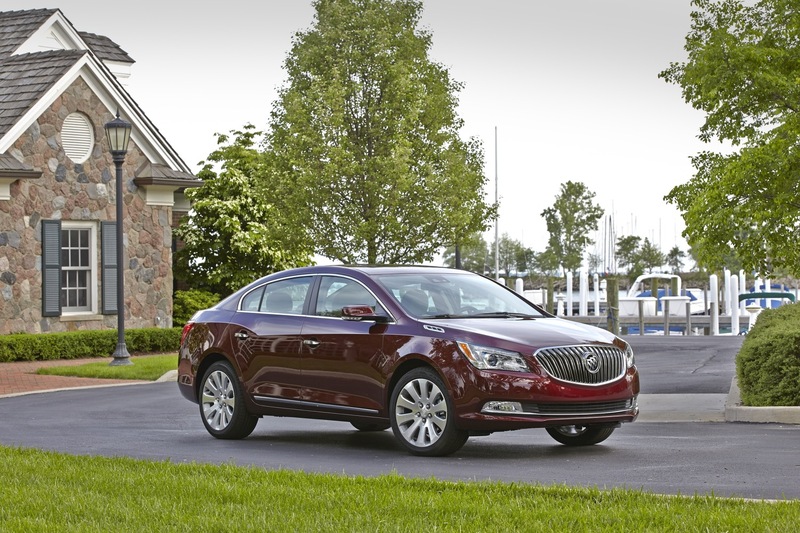 It’s a more integrated appearance that showcases Buick’s attention to detail. An integrated rear spoiler is incorporated in the trailing edge of the deck lid for greater aerodynamic performance, and wraparound LED taillamps provide a safety benefit by illuminating more quickly than conventional bulbs when the brakes are applied. 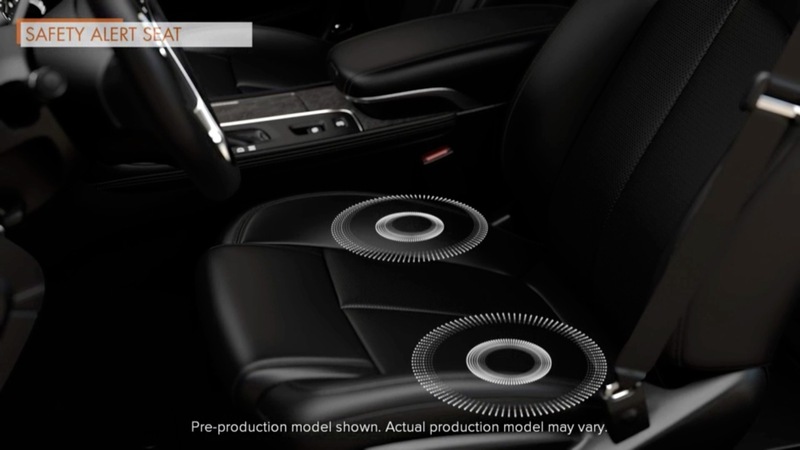 Ultrasonic rear park assist is standard on Leather and Premium I and II models. Exterior colors for 2016 include: Summit White, Ebony Twilight Metallic, Dark Chocolate Metallic, Sparkling Silver Metallic, Quicksilver Metallic, Deep Garnet Metallic, Dark Sapphire Blue Metallic and White Frost Tricoat. A warm ambience and ergonomic features naturally flow throughout the cockpit of the LaCrosse. A flowing, mindful design mixes contemporary colors, complementing trim and premium soft materials to reinforce LaCrosse’s luxurious attention to detail. The instrument panel houses a configurable eight-inch color driver information and cluster display, with the chrome-framed “center stack” integrating an eight-inch color touch screen for the next-generation IntelliLink infotainment system and dual-zone climate controls with capacitive-touch operation. The center stack blends into a center console that offers generous storage and a comfortable armrest. Four-way adjustable front headrests provide a great range of comfort, particularly for taller drivers, while rear-seat headrests fold down to enhance rearward visibility. The front headrests are now fully wrapped, expanding the use of soft-touch materials throughout the cabin. LaCrosse also offers a heated steering wheel standard on Premium models and available on Leather models. Choccachino/Ebony with Soleil Keisel leather seats with contrast stitching and Phantasm wood-style décor. Sangria/Ebony with semi-aniline full leather seats and authentic Tamo Ash wood trim (Ultra Luxury Interior Package). An available Ultra Luxury Interior Package – offered on Leather and Premium I and II models – adds a synthetic suede headliner and pillar coverings, semi-aniline full leather seats, console and door armrests, as well as authentic Tamo Ash wood trim. Buick’s unique QuietTuning engineering in LaCrosse helps make it one of the quietest passenger environments in the segment. Specific QuietTuning features include acoustical laminate on the windshield and front side glass; expanded baffles in the roof pillars; extensive use of melt-on sound deadeners throughout the entire lower body structure; and sound-absorbing material throughout LaCrosse’s engine, passenger and cargo compartments. LaCrosse’s standard IntelliLink system gives customers the best of both worlds when it comes to infotainment. It provides easy, intuitive operation of basic functions, plus it is highly customizable and capable of linking devices such as smartphones and MP3 players, giving users more ways of staying connected. IntelliLink, which has been revised as a more intuitive feature for 2016, includes an eight-inch-diagonal color touch screen that also serves as the display for the standard rearview camera system and available navigation system, as well as the controller for LaCrosse’s audio system. An available, premium Bose® Centerpoint® audio surround system with 11 speakers is optimized for LaCrosse’s refined interior acoustics. Connectivity features include text messaging alerts for smartphone users with Bluetooth profile (M.A.P. 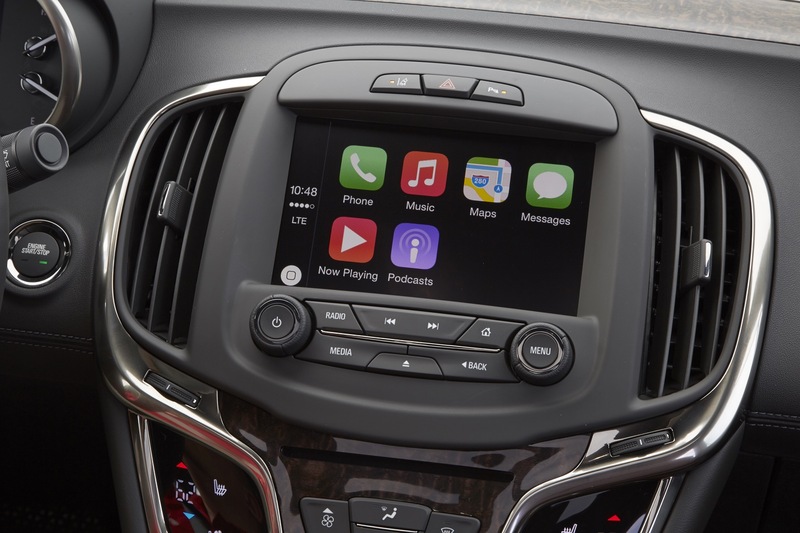 ), which reads incoming texts through the vehicle’s speakers, and Siri Eyes Free for iPhone iOS 6 and iOS 7 users to enhance connectivity and convenience. Each enables voice-controlled connectivity, to help keep phones safely stored and hands on the wheel. In addition everything from navigation to phone to Pandora, IntelliLink is designed to accommodate new features and is highly customizable. It incorporates natural language voice recognition that allows customers to safely place calls, enter destinations, browse media, play music and control other functions simply by telling the vehicle what to do. The LaCrosse now has two USB ports in the 2016 models. 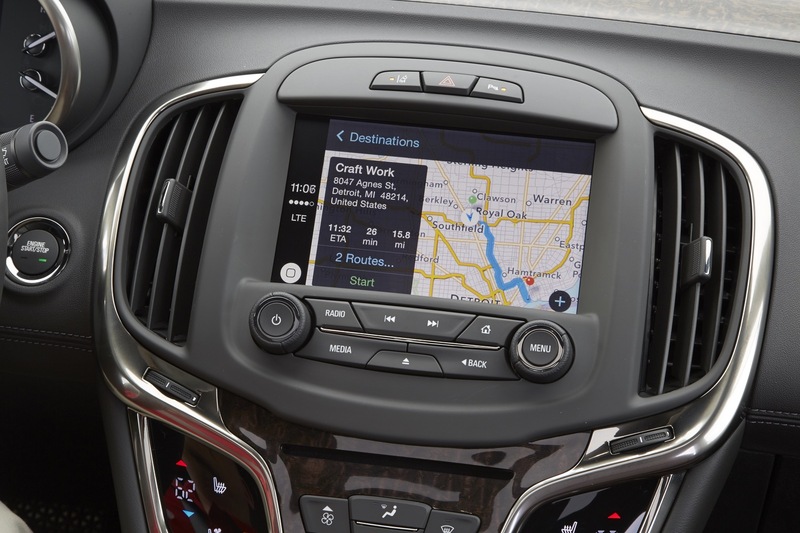 OnStar with 4G LTE and a standard built-in Wi-Fi hotspot also brings the LaCrosse’s connectivity to a new level. It provides a mobile hub for drivers and passengers to stay connected. The hotspot is on whenever the vehicle is on and comes with a three-month/three-gigabyte data trial, after which the owner can purchase additional data. Up to seven devices can connect with the Wi-Fi system. 4G LTE is the most current and fastest mobile data network – 10 times faster than 3G and 100 times faster than the previous generation of OnStar hardware. Paired with OnStar, 4G LTE also offers stronger, broader coverage than smartphones on the same network and it’s easy to use because if the vehicle is on, the connection is on. LaCrosse is offered with two efficient engines: the standard 3.6L V-6 rated at 304 horsepower (227 kW) and a 2.4L four-cylinder engine witheAssist light electrification technology, rated at 182 horsepower (136 kW) and available on 1SB and 1SL models. Each is matched with a six-speed automatic transmission. LaCrosse with eAssist uses a lithium-ion battery system and electric motor-generator to enable regenerative braking capability. Instead of providing all-electric propulsion, the system provides power assistance to the internal combustion engine. The eAssist system also allows the engine to shut down fuel delivery in certain deceleration situations, or at a stop, which saves additional fuel. A range of 17-, 18-, 19- and 20-inch tires, along with finely tuned chassis and suspension elements, contribute to strong handling, while premium wheel designs complement the driving experience with style. The 20-inch wheels are now available on premium AWD models for 2016. LaCrosse is also available with an advanced Haldex all-wheel-drive system with electronic limited slip differential (eLSD) that automatically decides how to distribute torque based on vehicle speed, throttle position and individual wheel slip. It also contributes to a refined driving experience, with minimal torque transferred to the rear wheels when all-wheel-drive traction isn’t required, for a quieter, smoother ride. Available on 3.6L front-wheel-drive models with 19- or 20-inch wheels is real-time damping and Sport Mode Selectivity, which uses four electronically controlled dampers to constantly “read” the road and make adjustments within milliseconds. It also features Buick’s HiPer Strut front suspension, which enhances ride and handling by reducing torque steer, delivering more linear and communicative steering through improved camber control and delivering improved impact isolation on bumps and rough surfaces. Electric power steering is standard on models with the 2.4L engine, as well as 3.6L-equipped front-drive models. This technology helps save fuel by drawing energy only when the wheels are turned. 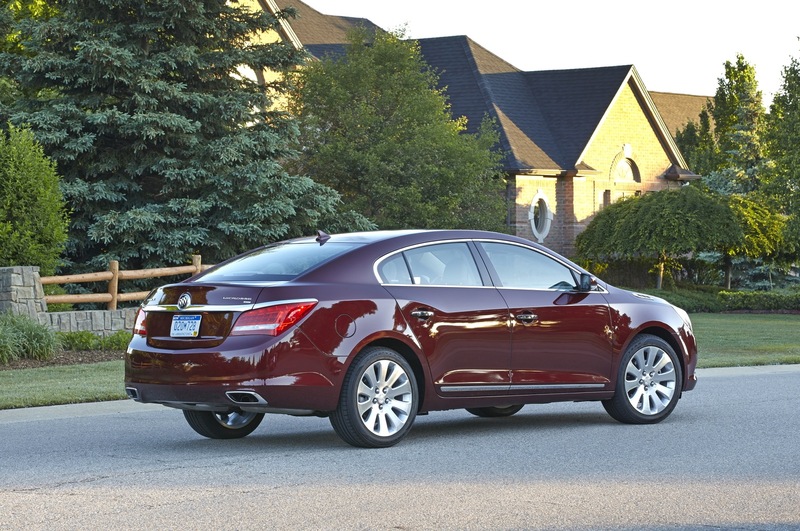 It also contributes to the LaCrosse’s driving experience with variable assistance at different vehicle speeds. Driver Confidence 1 (available on 1SL, 1SP and 1SR) includes Forward Collision Alert, Lane Departure Warning, Lane Change Alert, Side Blind Zone Alert, Rear Cross-Traffic Alert, following distance indicator, HID headlamps with articulating headlamps, fog lamps and head-up display. Driver Confidence 2 (available on 1SP and 1SR) adds Collision Preparation (with Collision Mitigation Braking), Full-Speed-Range Adaptive Cruise Control and the Safety Alert Seat. Collision Mitigation Braking can intervene in certain crash-imminent situations, automatically triggering emergency braking if the driver fails to respond to a previous alert. The Safety Alert Seat vibrates on the left or right side, or both sides simultaneously, depending on the direction of the crash threat. Lane Change Alert warns the driver of fast-approaching vehicles in the next lane that are up to 230 feet behind the car. Additional safety features include a standard rearview camera system, eight standard air bags – including rear-seat thorax air bags – StabiliTrak, traction control and four-wheel disc brakes with ABS and intelligent brake assist. 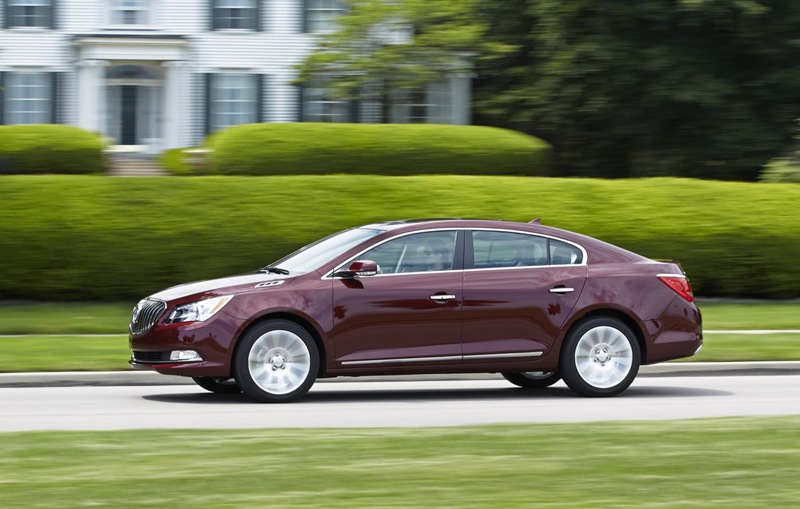 According to a pricing analysis performed by GM Authority, the MSRP of the 2016 Buick LaCrosse is either steady or up by $175, depending on the trim level. The only 2016 LaCrosse trim to not see a bump in price is the “value” 1SV trim, which continues to carry an MSRP of $31,990. All of the other trim levels of the 2016 LaCrosse, however, saw a $175 price increase, including the “base” (which slots above the 1SV), Leather, as well as the Premium I and Premium II trim levels. The same rings true for the LaCrosse with all-wheel drive, which saw a $175 increase. The AWD models are only available in the Leather and Premium equipment groups, where they carry a $3,005 and $2,650 premium over their FWD models.